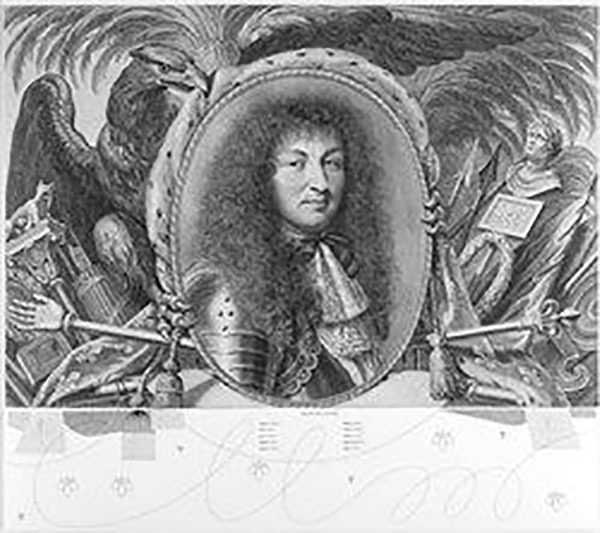 Robert Nanteuil (1623–1678), Gilles Rousselet (1610–1686), and Anton Würth (b. 1957), Portrait of Louis XIV Surrounded by an Allegorical Composition, 1667, together with N – Predella III, 2012. On loan from C. G. Boerner, New York. Provoked by the seventeenth-century French virtuoso portrait engraver Robert Nanteuil, German printmaker and book artist Anton Würth (b. 1957) challenges conventional concepts of ornamentation in an attempt to lead "the engraved line from being an exclusively subordinate part of representation to a self-referential independence." This exhibition brings together Würth's twenty-first-century take on engraving---an archaic, laborious and unforgiving medium---and some of the old master prints that inspired them to examine technique, portraiture, ornament, and theory. Wednesday, February 19, 12:30 p.m.